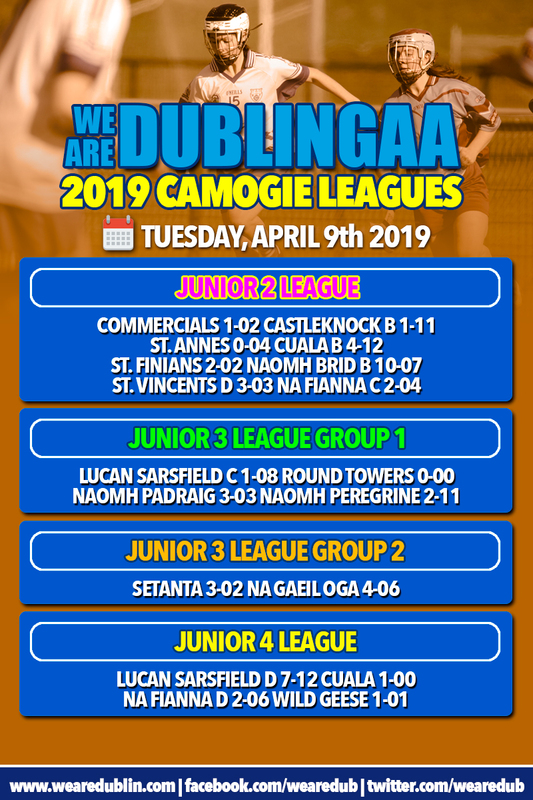 Well we’re almost up and running in all the divisions in this year’s We Are Dublin Senior Camogie Leagues are up and running as last night saw the start of the Junior 2, Junior 3 and Junior 4 leagues. By tomorrow night with the start of the Inter 2 League, that will be all divisions over at least their first round of games. But last night was the Junior Leagues in focus with 9 games played. And some of the participating teams got off to a great start. A nine point win for Castleknock in their opener against Commercials in Junior 2. Cuala travelled to St. Anne’s and registered a 4-12 to 0-04 win. A twelve goal feast was put on by Naomh Brid and St. Finians, with Naomh Brid the winners on a 10-07 to 2-02 scoreline. And in a tight game between two rivals St. Vincent’s D were two point winners over Na Fianna by 3-03 to 2-04. 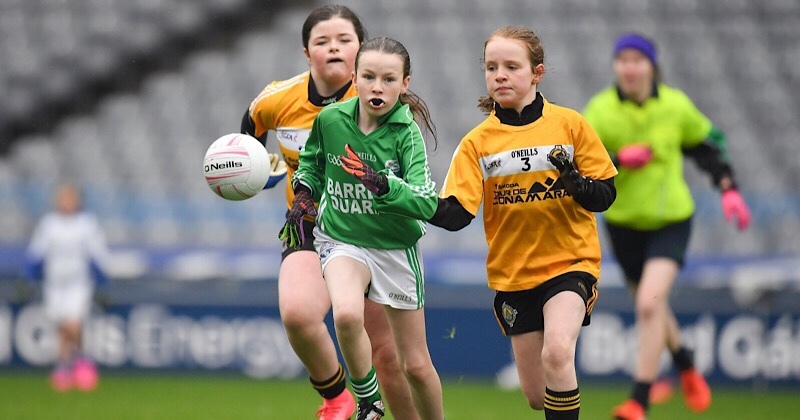 In Group 1 of the Junior 3 Lucan Sarsfield held Round Towers scoreless in their 1-08 to 0-00 game. And Naomh Peregine were triumphant over Naomh Padraig in the other group game on a 2-11 to 3-03 scoreline. One game in Group 2 of this league with Na Gaeil Oga victorious over Setanta. 4-06 was enough to see them above Setanta’s 3-02. Finally in the Junior 4 League Lucan Sarsfield scored a massive seven goals in their 7-12 to 1-00 win over Cuala. And Na Fianna were 2-06 to 1-01 winners over Wild Geese.